When fear takes you away – Panic Attacks. Panic attacks are sudden, unexpected increases or surges of intense fear. These waves of fear rise rapidly like the waves of the ocean. They normally reach maximum intensity within a few minutes. Panic attacks are levels of fear which far exceed the actual level of danger. Having a single panic attack or mild levels of anxiety recurrently don’t meet the threshold to be diagnosed with a mental illness. Milder forms are often referred to as anxiety attacks. Severe forms of panic attacks are overwhelming. If your panic attacks become frequent and disabling, then you may be suffering from the more serious condition called Panic Disorder. 16 types of panic attacks. Fear of dying. Not because the danger is real but because you are so scared you think you will die. This can’t be real. Technically this is called Derealization. Tingling – when your electrical system shorts out. Hot and cold flashes and you’re not menopausal. I think I will faint. My tummy hurts, and I may throw up. Is this the big one? – Heart pain. Is it hot in the refrigerator? Why you may sweat in the snow. Your heart is trying to leave your body. Many common reactions to intense fear are considered culturally approved and do not get counted to make up the definition of either panic attacks or Panic Disorder. These symptoms which may be an acceptable reaction to intense fear include pains in the neck, ringing in the ears, headaches, uncontrollable screaming, or uncontrollable crying. If you experience panic attacks occasionally or because of particular stressors you may benefit from counseling or stress management training. If these panic attacks are recurrent, or interfere with work, relationships, upset you, or prevent you from enjoying other parts of your life you may have Panic Disorder. Untreated these conditions almost never get better on their own. With professional help, it is possible to overcome panic attacks or panic disorder. Why is empathy in short supply? Empathy is a vital ingredient in modern life. identify with and understand somebody else’s feelings or difficulties or the abilities to put yourself in the other’s position. It can have to do with both cognitive understanding and emotional experience. Empathy is considered a fundamental skill for beginning counselors to have or to develop. I looked this word up in my 1898 Century Dictionary and Cyclopedia only to find – it’s not there! The word empathy was introduced into the English language in the year 1908. It came from a German word which had come into use extensively in the 1870s. There was clearly a need for a word that more accurately expressed this concept. Originally the word empathy was closely related to sympathy but went beyond the concept of feeling sorry for someone. Empathy came to mean a ‘felt sense” or an understanding at a deeper level. 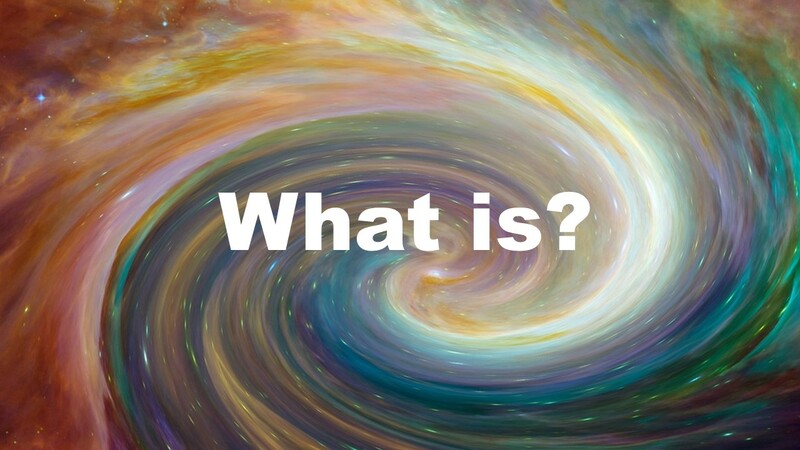 Today this word is often used to denote the ability to understand and experience what someone else is feeling. To really feel empathy and you needed to not only understand what the person may be thinking but what they may be feeling. In order to develop your understanding of the skill of empathy take a look at the list below of ways to tell if someone is truly empathetic. Empathy is seeing life through someone else’s eyes. Empathy is not simply saying I know what you mean or I understand what you are going through. It is that true desire to actually be able to put yourself in the other person’s position and see what they’re seeing in the way they are seeing it. Empathy is being genuinely curious about others. People who are high in empathy are genuinely curious about other people’s lives and what it would be like to live life the way that person lives. Empathy wants to understand not judge. To have empathy you have to suspend judgment. The people who are high in empathy make the effort to understand the other person, their life situations, and what they have gone through. The goal of empathy is to experience what it would be like to be that other person. Empathy values the other person’s experience. Having empathy places a high value on other people and their experiences. People from other backgrounds can have important contributions to make to our understanding of the world we live in. An empathetic person does not look for ways to make the other person more like themselves. They look for ways in which that other person’s thinking and behavior make sense, given their life experiences. Empathy is a mirror that reflects what is inside us. As you seek to practice empathy for others you are likely to discover that it says a lot about you. Looking and listening to other people’s life experiences evokes emotions deep within ourselves. Much of what we may be feeling about someone else reflects what we would be feeling in that situation. Deep empathy moves beyond our own experience and attempts to experience things from the others point of view. Empathy understands feelings as well as facts. Empathy is about more than simply understand the facts and the situations of someone existence. The highest form of empathy is to seek to understand how someone feels. This goes beyond thief understand of facts of someone’s life, to how that person interprets those facts and the feelings those situations result in. Have you developed your skills for experiencing empathy? You don’t have to be “crazy” to have a mental illness. Sometimes bad things happen, and those difficulties in life can overwhelm you. When these things happen, often people get right back up, but if something bad has happened to you and you find that you can’t get back on track you might well have an Adjustment Disorder. Adjustment Disorders are the result of bad things happening to you. Professionals need to be careful not to turn everything that could possibly happen to someone into some sort of mental disorder. Beginning professionals are cautioned to avoid pathologizing their clients by being so sure everyone who comes to their office must have some kind of extreme mental disorder. A particular stress, divorce, for example, can have a very different meaning for different people. One person may become very depressed. Another might become quite angry. Some people may even be happy and throw a party. We know that stress can be quite difficult to handle. But if someone’s response is far beyond what we expect, then that excessive response gets diagnosed as an adjustment disorder. To be diagnosed with an adjustment disorder your distress as a result of what happened has to be in excess of what we would normally expect. Because of the large number of possible ways stress might affect someone there are six specifiers or some types of adjustment disorder. This inability to adjust can result in suicide. Adjustment disorders have come to be recognized as serious mental health issues because of the high rate of suicide, homicide or other negative behavior that can occur in the aftermath of the stressor. Things like divorce, loss of the job, business failure or other negative events can overwhelm a person and exceed their ability to cope. Adjustment disorder requires an identifiable trauma or stressor. Just any difficulty coping with life does not get diagnosed as an adjustment disorder. In this condition, we know clearly that something specific happened in your life. We call this the identified stressor. We expect to see the results of that experience start happening within three months of the original incident. We also believe that adjustment disorder normally stops all by itself within six months of the time it began. If you have a strong reaction to a stressor in the first month after the incident, we call that Acute Stress Disorder, a condition that usually resolves very shortly. An Adjustment Disorder results in a change in your feelings or behavior. As a result of this stressor, people find their feelings overwhelming them. That may become depressed, anxious or angry. Not only are these feelings negative but they’re far beyond what would be useful. People with Adjustment Disorders may begin behaving in ways that are just not normal for them. That may be constantly angry, become violent or begin abusing drugs and alcohol. Some develop other addictions. People with an adjustment disorder are at high risk to become violent towards those they blame for their misfortune. Bereavement is not the same as Adjustment Disorder. Having someone close to you die is something everyone experiences sooner or later. Mental health professionals see this loss of a loved one as quite different from Adjustment Disorder. While everyone needs to grieve in their own way, most people eventually get past the loss of a loved one. In an Adjustment Disorder not being able to adjust damages your life. As with the other things we are calling a mental illness this needs to interfere with your ability to work or go to school, your relationships, your enjoyable activities or cause you personal distress. Otherwise, you may have the issues but you will not get the diagnoses if this is not interfering with your everyday life. If the only time this happens is when under the influence of drugs or medicines or because of some other physical or medical problem this adjustment difficulty needs to be more than your situation would warrant. These other issues may need treating first, then if you still have symptoms you could get this diagnosis. What is Separation Anxiety Disorder (F93.0)? Separation Anxiety Disorder used to be strictly a children’s condition. In the past Separation Anxiety Disorder was listed in the section of the Diagnostic and Statistical Manual (DSM) under the category of Disorders First Diagnosed in Infancy, Childhood, and Adolescence. Recently in the reorganization of the DSM, this disorder was moved to the chapter on anxiety disorders. Increasingly we recognize that there are adults who suffer from Separation Anxiety Disorder. In children, if they have the symptoms for four weeks or more, that meets criteria. But when we see this disorder in adults we expected it to last at least six months. This is a disorder which may come and go throughout the lifespan. It is likely to begin after, or to be triggered by, stressful events. Separation Anxiety Disorder is about a fear of losing the major attachment figure. In Separation Anxiety Disorder there is a fear of leaving home or being separated from a major attachment figure. This is very different from people who are simply afraid of going out of the house, being around crowds, or meeting strangers. In Separation Anxiety Disorder it is the fear of losing that significant person which causes them extreme distress. 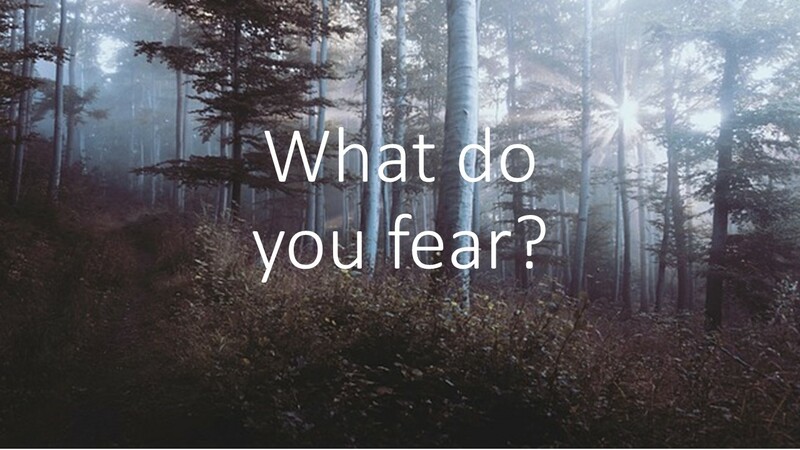 This fear is clearly far more than life circumstances would warrant. People with this disorder need to know where that important person is it all times. And they may have an excessive need to stay in constant contact with their major attachment figure. These people may be given to constantly texting, and may become quite upset if they’re communications are not immediately responded to. You may also fear being taken away. Separation Anxiety Disorder is also the fear that something will take you away from that major attachment feature. People with this disorder worry about an illness, kidnapping or being forcibly taken from a major attachment figure. Some people with this disorder are unable to be in a room by themselves. Separation Anxiety Disorder can make you refuse to leave home. The classic example of this is the child who is terrified of leaving their mother to go to kindergarten on the first day of school. In normal children, if we expect them to get over this fear after a few days. But in those with Separation Anxiety Disorder that fear continues for long periods of time. We may continue to see this behavior as children get older. They may have frequent illnesses which keep them at home with their important attachment figure. Like most other anxiety disorders, Separation Anxiety Disorder typically begins in childhood, but it may well continue throughout adult life. In diagnosing this disorder the professional looks at the developmental stage of a person to see if what they are going through is appropriate. Some adults are so afraid of leaving their significant family member that they are unable to venture out into society alone. They will only be willing to go outside the house, to the store or an appointment, if that major attachment figure accompanies them. That huge fear of being alone maybe Separation Anxiety Disorder. An abiding characteristic of Separation Anxiety Disorder is the extreme level of fear of being alone. Any time this person is separated from their major attachment figure, they become anxious and may even become terrified. In children, the attachment figure is likely to be their parents or caregiver. In adulthood people with this disorder are likely to become very anxious when separated from their spouse, partner or their children. If that important person is not home, then you can’t sleep. People with Separation Anxiety Disorder find that they are unable to sleep when the major attachment figure is not in the house. They may stay up all night on those occasions when that person they’re attached to needs to be gone overnight. The person with Separation Anxiety Disorder will have a constant need for reassurance. This need may result in frequent phone calls or other efforts to contact the attachment figure who is not there. This constant need for reassurance may begin to interfere with their partner’s ability to work. Separation Anxiety Disorder causes nightmares about being separated. In this disorder, the content of the nightmare is that the important person will be taken from you or you from them and that you will never ever be able to see them again. These nightmares can be recurrent and play a role in maintaining the other symptoms. Separation Anxiety Disorder can make you physically ill. Symptoms of this disorder can look just like a physical illness. These symptoms may include headaches, inability to eat, nausea, or even vomiting if there’s a chance that you’ll be separated from this major attachment figure in your life. People with Separation Anxiety Disorder are likely to be described by others as needy and insecure. There is help for Separation Anxiety Disorder. While this condition often begins in childhood and may continue well into adulthood, someone with this issue does not have to continue to suffer. There are treatments available. If you or someone you love suffers from this condition, consider getting professional help.